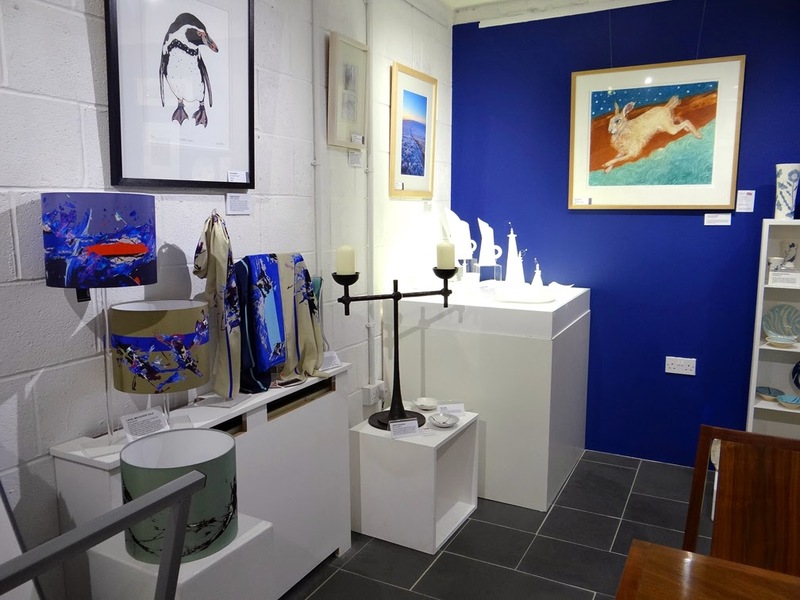 The Devon Guild of Craftsmen, Bovey Tracey. 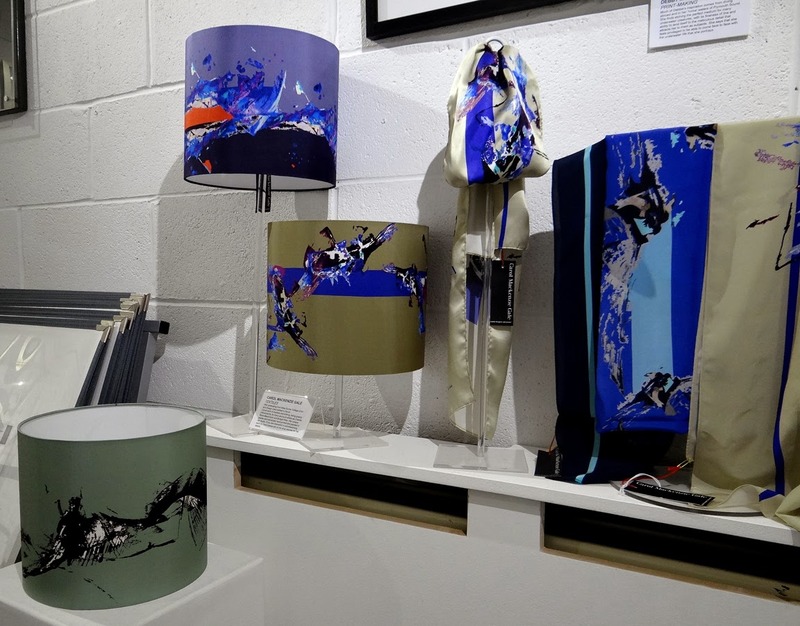 Silk lampshades, here 'Sunset', 'Bluebirds' and 'Angel Farmer', are a new departure for me and I can see that they must be displayed with light. As they will always be seen with a light inside, it is difficult to predict what they will look like when they are displayed in a gallery. They look so beautiful glowing in a room setting. More lampshades on the way. This range of designs has been created bearing our diverse multi-cultural society in mind, the strong colours inspired by the David Hockney exhibition, where he put purple and lime green together, orange and scarlet and blue and gold!! His colours blew me away. Purples and blues!! Scarlet and blue. Luscious colours from the David Hockney exhibition.